As the roofing industry progresses, more and more shingle options are available to homeowners. It can be challenging to navigate the different types of shingles and decide which material is best for your home. 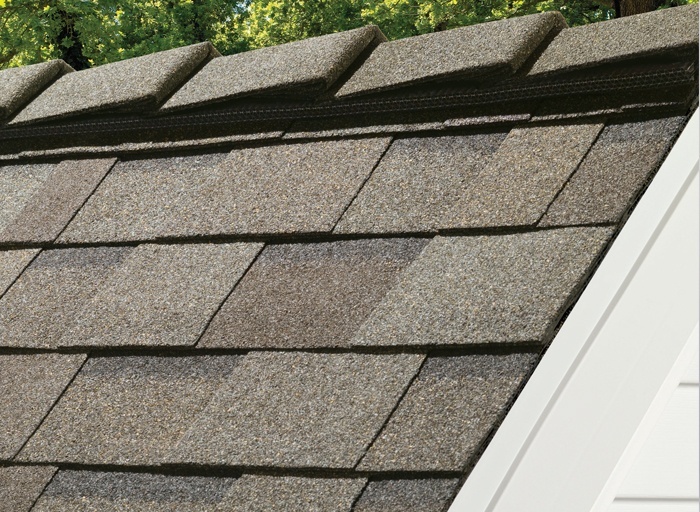 We’ve compiled all you need to know about three of the top shingle options so that you can determine the choice that’s best for your roofing system. Among the most common and affordable options on the market, asphalt shingles are popular across the country. Made of asphalt layered with other materials, this shingle type comes in a variety of sizes and colors. The two main categories of asphalt shingles are fiberglass and organic. Fiberglass shingles are lightweight and fire resistant. They are fairly inexpensive and relatively durable. Fiberglass shingles are resistant to UV rays and are waterproof due to their asphalt coating. They are useful in almost any roofing application. Asphalt shingles are sometimes made with organic materials like wood chips, cellulose, or paper. Organic shingles are typically heavier than their fiberglass counterparts, and they are prone to moisture problems. For this reason, organic shingles are not a good fit for homes in areas with high humidity or low temperatures. If you're looking for an environmentally friendly option, wood shingles may be the way to go. Wood shingles are very durable and can typically last between 30 and 50 years. One of the biggest drawbacks with wooden shingles is flammability. Unlike other roofing materials, most wood shingles are not fire resistant and can be a safety concern in areas of the country where wildfires are common. Wood shingles are also vulnerable to wood-boring insects, mold, and rot. Slate is the cream of the crop among shingles. It can last decades longer than other roofing materials on the market, withstanding close to a century of wear. Slate shingles offer a natural yet sophisticated appearance combined with durability and strength. Heat and moisture resistance and high impact tolerance make this type of shingle a standout in the roofing market. It’s not without downsides, though; slate is very heavy and costly. For those who can sustain the physical and budgetary weight, slate shingles are an excellent roofing investment. For more expert advice on the roofing options available to you, contact Hedrick Construction in Des Moines. Our team of roofing professionals can help you determine the best roofing material for your home and install it with top-of-the-line precision and quality. At Hedrick, you’ll get a roof you can rely on from a contractor you can trust. Schedule your consultation today!